Seize new opportunities by taking advantage of one of our partnership programs to strengthen your market position, expand your business and generate new revenue. Together, we can serve companies in an unparalleled way. 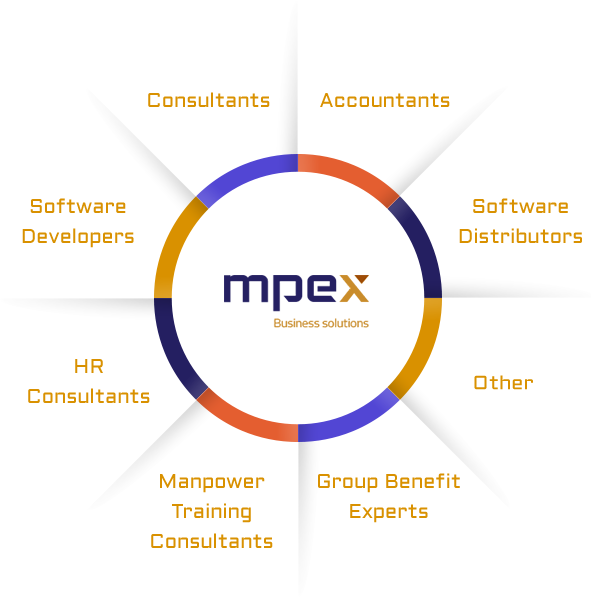 Joining MPEX as a partner does not require any fee. No minimum sales will be needed. Common objectives are established on the basis of a list of potential customers, a sales sector or a geographical area. An exclusivity clause may be offered to partners other than Referral. The Referral partner recommends MX-Solution suite to qualified businesses. The Reseller executes all the steps of the suite’s sales cycle, including prospecting and demonstration. Buying at a discounted price and deciding of his mark-up, the Integrator assumes the sales, integration, training and support cycle of the suite. The Master Resell Right partner resells MX-Solution suite as well as resells the right to resell the product concerned. The White Label partner sells MX-Solution suite under a private label.